The mighty Cowboy Bebop has finally arrived on Blu-ray here in the UK and I’ve just three words for those of you who have the previous DVDs and are on the fence regards the new HD version- Buy! Buy! Buy! As you can see from these quick snaps I’ve taken, its a fine-looking set and packaging-wise much better than we here in the UK usually get. The main box is heavy cardboard with both an art-booklet and a smaller case that holds the two discs. 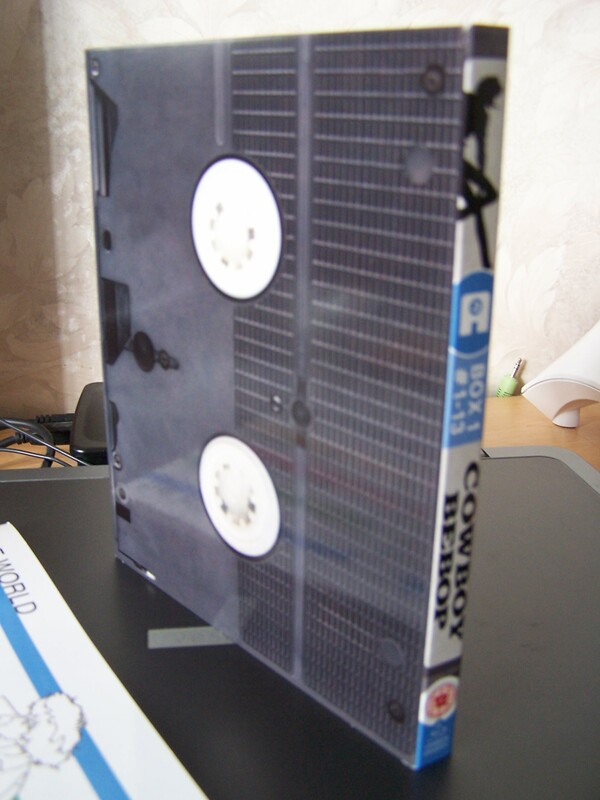 This inner case/digipack is designed to look like a VHS tape. Very retro (and if I recall correctly its a clever in-joke referring to something in an episode that will appear in the second set). It even follows through to the other side of the case too, as you can see from the picture on the right. Its a neat touch that betrays some of the TLC this show has received by this new label (All the Anime). I also just managed to watch the first episode when I got home from work. As the show dates from 1998 and before widescreen became the norm, it is displayed in its correct 4:3 ratio with a wonderfully sharp and defined HD image. In 5.1 the soundstage is wonderfully wide and the music has a real hefty kick to it. 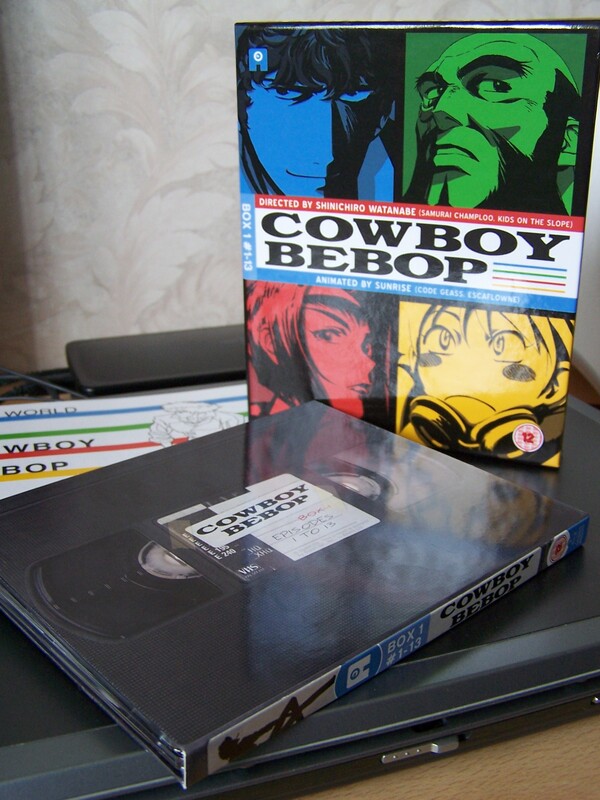 I originally bought Bebop in its first R1 edition, so never saw the ‘remix’ DVD that came later. I must say I’m very impressed with how the show looks and sounds in HD, its really something of a revelation to me (if I recall correctly that first DVD edition had the show in basic 2.0 stereo). 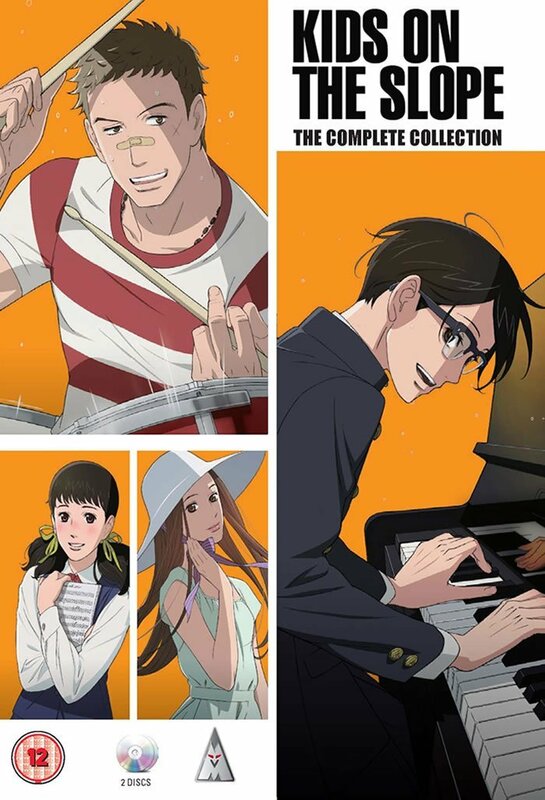 Kids on the Slope is a simply wonderful, sublime piece of work. Unfortunately, its an anime, which will inevitably limit its potential audience, as most people think cartoons are for kids or that anime is all giant robots/ultra-violent nonsense. 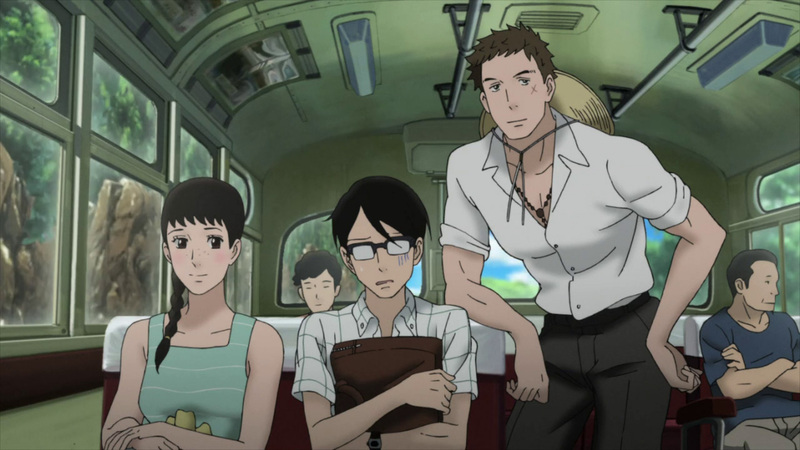 Kids on the Slope is proof of just how wrong such preconceptions are. This 12-part series is a joy from start to finish and deserves a wider audience than it is ever likely to get. Set in mid-1960’s Japan, it’s a coming of age story of a small group of teenage kids at school, following them through the final years of their schooling together, with a back-drop of the coolest jazz music. Really an ensemble piece, the initial lead character is Kaoru Nishimi, who in the summer of 1966, moves to stay with relatives in Kyushu. A withdrawn and lonely figure, Kaoru is awkward at his new school but accidentally befriends bad boy Sentaro Kawabuchi, another odd-one-out figure at the school. The two share an interest in music -Kaoru plays piano and Sentaro plays drums- and Sentaro introduces Kaoru (a lover of classical music), to his love of Jazz, and the two begin to jam together in the basement of a music shop. 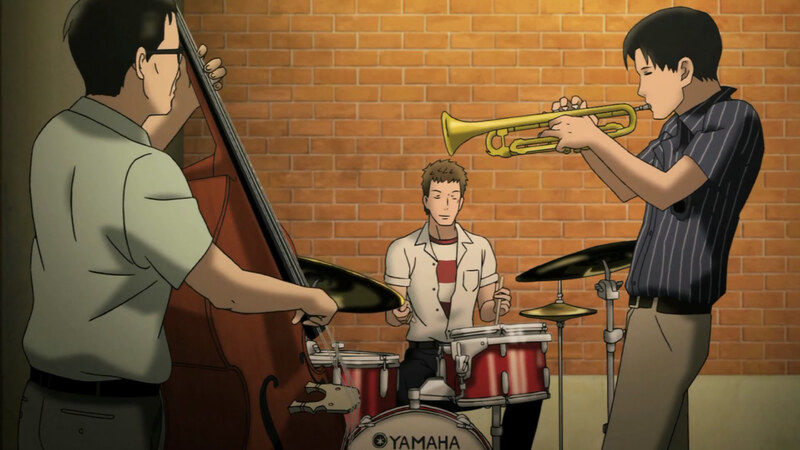 Through Jazz, Kaoru discovers a new life, new friendships, new confidence. It changes him forever. Over the course of the twelve episodes their friendship becomes that of kindred spirits. Kaoru grows out of his shy, withdrawn character and falls in love with Ritsuko, daughter of the music-shop owner, but this relationship is awkward, full of the growing pains of adolescence. Sentaro himself has a sensitivity and dark secret that he hides with his roguish, bad-boy reputation. As the episodes play out we encounter other wonderful characters as we meet Sentaro’s circle of family and friends, and memorable characters at their school, as the events of the turbulent ‘sixties pass by around them, all suffused with that wonderful jazz-music backdrop. Characters fall in and out of love, friendships grow and fracture. Its all a wonderful story well-told with care and joy for youth, life, love and music. It’s funny, its sad. Its damn nigh flawless. Over the course of the series weeks pass into months, months into years, and the ending is just… well, suffice to say it is enough to send you rushing back to episode one, to soak up the whole thing all over again. Its that good. So no, its perhaps not what you would expect of a cartoon or anime. It is, frankly, one of the most remarkable series I have ever seen, whether animated or live-action. Directed by Shinichiro Watanabe of Cowboy Bebop fame (Bebop, if, somehow you have never heard of it, is the best anime series of all time, in my opinion, and, yikes, coming to Blu-ray here in the UK next week! ), this series reunites Watanabe with composer Yoko Kanno (of, yes, Cowboy Bebop fame- really the pedigree of this series is remarkable). The artistry in creating characters that you fall in love with, to tell a story that you get so emotionally invested in… well, its a wizardry of sorts, plain and simple, and storytelling equal to anything done by the Pixar crowd. The fact that it will pass largely unnoticed by the majority of people simply because it is, well, an anime, is the unkindest thing of all. It deserves a wider audience. I will just point out that this is the only anime that my wife has ever watched, the greatest proof of all at just how universal the appeal and quality of this series is. Douglas Trumbull’s Silent Running is a firm old favourite for many sci-fi fans, particularly those of my generation anyway, and there’s a few reasons for this. First and foremost is because of Douglas Trumbull himself, a guy who’s really something of a genre hero akin to the late Ray Harryhausen. I’m sure Trumbull would be embarrassed at a comment like that, but Trumbull was one of the effects supervisors on 2001: A Space Odyssey, and would later work on the visual effects of Close Encounters of the Third Kind, Star Trek: TMP, and set up the effects work on the seminal Blade Runner before working on the ill-fated production Brainstorm. Silent Running was Trumbull’s directorial debut. Silent Running is a low budget/high concept movie. You don’t see so much of those any more. Usually its high budget/low concept these days. 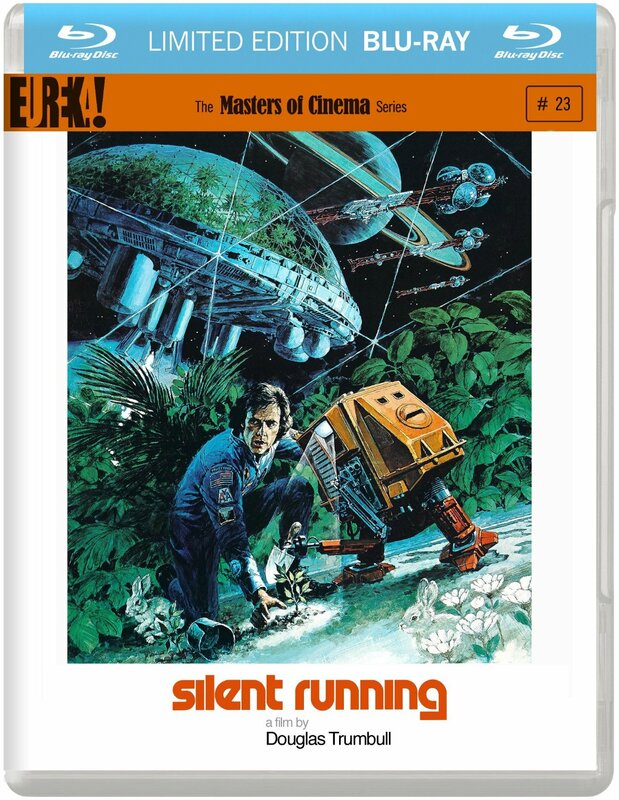 In our era of throw-away, bubblegum blockbusters, such movies as Silent Running are a rarity. Highly ambitious in spite of its limited budget, Silent Running shares kinship with other such films of its time as THX:1138 and, more recently, Moon. Films with ideas and perhaps a cautionary message, something to linger in the viewers mind afterwards. Its not by chance that it also dates from the early 1970s, that last great hurrah of the serious American Film. I believe the story has it that a Studio head, inspired by the success of low-budget/indie hit Easy Rider, gave a number of young promising film-makers a million dollars each to just go and make a movie. Trumbull went away and made Silent Running. It never made any money, so such noble and ambitious gestures as letting film-makers go and make movies was put away as a silly idea, and the Studios got on with other ways of making money and movies. Sometime in the near (?) future, Freeman Lowell (Bruce Dern) is one of four astronauts on board the Valley Forge, a state-of-the-art spaceship which is part of a convoy carrying giant domes containing Earth’s last forests. In a prescient nod to the crew of the Nostromo, his fellow astronauts are bored employees, simply doing what is their job, numb to the importance of their mission. Lowell, however, loves the forests in the domes and sees his task as a noble enterprise, confident that one day they will be able to return the forests to the blighted Earth. However, the stark truths of budget cuts and political expediency back home results in the mission being cancelled. The astronauts are instructed to jettison and destroy the domes and return to Earth. Lowell snaps and before the last dome on the Valley Forge can be destroyed, he kills his fellow astronauts and breaks away from the rest of the convoy, faking an onboard malfunction. The remainder of the film is pretty much a character piece, in which Lowell spends his time with his only remaining company, three drones (who prefigure the design of R2 D2) who he renames Huey, Louie and Dewey. Trumbull cleverly adds nuances of character to these drones in how they behave and react to Lowell, and even eliciting some sympathy when one is destroyed and another damaged. Lowell instructs the drones on caring for the forest, and even programs them to play poker. Despondent and clearly feeling guilt at having killed his human crew-mates, Lowell becomes increasingly lethargic and detached, until he discovers the forest is dying, and has to solve the crisis with the help of the drones. Inevitably his crime catches up with him when the convoy tracks him down and he has only one course of action left to him in order to save the last remaining forest. Naive has much of the film may seem today, its ecological theme nonetheless is as relevant now as it was back then, indeed, perhaps even more so. Its production design is clever and impressive, the miniature effects work fine if inevitably somewhat dated (although Trumbull did do one thing Kubrick failed to do in 2001, in bringing Saturn to the screen). When you really think about it the film kind of breaks down- there is no mention of artificial gravity or how the forests are expected to survive cosmic radiation or solar flares, or why the convoy is in deep space rather than Earth or Moon orbit, or the sheer costs of the enterprise. Maybe that is simply because of when the film was made, how innocent we were back then and more sophisticated now. Dern is simply magnificent in his role, but the other human actors come across as stilted, or even wooden, failing to convince. The drones, meanwhile, are simply wonderful and clearly a major inspiration for George Lucas and his team. But the film is charming nonetheless. Maybe its the music. I have no idea how well the music score translates away from the film, but Peter Schickele’s folksy score, complete with songs featuring Joan Baez, is incredibly evocative within the movie. Its a score which fits its movie like a glove. Very much of it’s post-sixties/hippy/folk-music era, on the one hand its horribly dated but on the other its just perfect, like another character in the film. I remember seeing a vinyl copy of the soundtrack in town once, many years ago, in a sale, and nearly bought it. Over the years since I have often regretted being too careful with my money, and always frustrated that it has never been released on CD. On Blu-ray the film looks better than it ever has, but that’s not to say its without its problems. Most of it likely stems from the source, but much of the front projection work really suffers in HD, with wild grain buzzing around in places. Otherwise much of the normal live-action stuff, those shots minus any of the processing work, look fine. A little soft in places but on the whole detail is otherwise excellent. I guess the film would look better after a full restoration but lets face it, that’s simply never going to happen with such a minor, ‘cult’ film as this. Its certainly much better than any previous DVD release. Extras are fine, mostly dating back to the earlier DVD releases, but it does include a great 48-page booklet with rare photographs and artwork, and some text interviews to accompany those on the disc. The Making of Silent Running, a 1972 on-set documentary nearly an hour long, is included, and is a sobering reminder of just how old this film is, and how impressive it is in retrospect. In all its an excellent package, and even features an isolated music and effects to keep those of us curious about the score happy. “Of all the comic heroes I have drawn, Judge Dredd is definitely my favourite. Who wouldn’t like being paid to disappear into the future where a 7ft character goes around thumping people in post-apocalyptic America. I had a ball sitting in my room in Orkney sketching away while the rain poured down outside.” – Cam Kennedy, 2012. An excellent book has just been released by IDW Publishing – it seems this is another example of the Americans showing us Brits how it should be done, with one of our own greatest properties to boot. It’s a large-format, finely produced hardback collection of classic Judge Dredd stories illustrated by the great Cam Kennedy. Kennedy is my very favourite Dredd artist, and that’s no small praise considering the competition by such greats as Brian Bolland and Mike McMahon or indeed the legendary Carlos Ezquerra (and if those three names mean nothing to you, well, I pity you, really I do). When I talk about such artists I have to admit I’m pretty much ignorant of anybody doing the Dredd strip these days- I used to read 2000AD back in 1978 through to the mid-nineties (and naturally the Dredd Megazine during that period too), so I guess I could be referred to as a fan of Classic Dredd or Golden-Age Dredd or whatever they call it these days. There are likely great ‘new’ artists illustrating Dredd stories these days but I’m totally ignorant of them. The Dredd of ‘my’ era was back in the days of the Dark Judges, Block Mania, tales like The Cursed Earth, The Judge Child Quest, The Apocalypse War… oh boy, those epics were something special. Kennedy’s tenure actually dated a bit later, from 1983 when Dredd had fully matured. 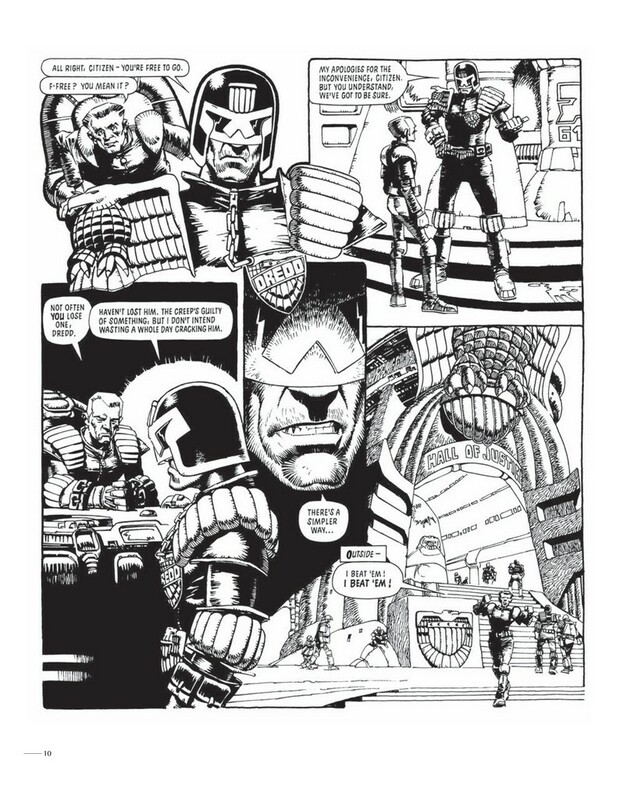 With a clean, bold b&w ink style all his own, Kennedy brought a gritty, realistic edge to the strip… as fine as the other Dredd artists were, it was Kennedy’s Mega-City One that seemed the most real to me, the closest to how I thought a movie Dredd might really look. Indeed, most of his strips were like storyboards for a Dredd movie. Dredd looked real, the streets and the hardware looked real, solid. It lived, it breathed. Whenever I picked up the latest issue of 2000AD and found that Cam Kennedy had drawn the issues Dredd strip I knew I was in for something really special. The writers seemed to respond to Kennedy’s artwork with some really special stories though (and creator John Wagner admits as much in his introduction to this book), to the extent that its really not just the astounding artwork that lingers in the memory but the great story-lines and memorable characters too. The Midnight Surfer, Kenny Who?, The Taxidermist.. there are great characters here, great drama, great laughs, and a towering depiction of a huge, no-nonsense Dredd. So this book is a treasure-trove of memories for me. A fantastic read and a book to return to for many years to come, with some fantastic strips lovingly re-printed here on fine paper at a size somewhat larger than the original 2000AD comic itself. Why on Earth the UK publisher Rebellion couldn’t have done something like this itself is beyond me, as this is a well overdue treatment of the iconic classic strips. This book has the sub-heading ‘Vol.1’ so I hope a collection of later Kennedy work on Dredd will be forthc0ming (I dare say much of that will be new to me). Similar collections of Brian Bolland and Carlos Ezquerra have already been printed but I believe proved problematic. Bolland drew individual episodes during big epic storylines and understandably only those episodes featuring his art were printed in the first collection, proving a frustrating reading experience apparently, and the Ezquerra collection seemed a bit of a hit-and-miss editorial affair, but I think I will get the Ezquerra Vol.2 collection as that reprints the remarkable Apocalypse War in its entirety (Ezquerra was amazingly fast at drawing Dredd, able to complete entire epic storylines on his own). To be honest though, I’m so impressed by the quality of the Kennedy collection I think I may well go for the earlier Bolland and Ezquerra books myself anyway. This is a great quality way or collecting/preserving classic Dredd. 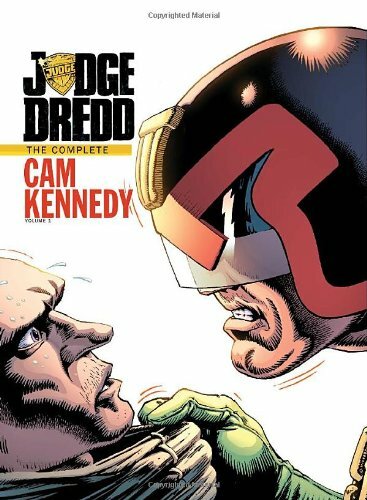 For newcomers though this Cam Kennedy collection is superior to the others as the stories are all complete and indeed are some of the finest Dredd stories that have been written. Roll on the second volume of Kennedy Dredd art, I can hardly wait. The Horrible ‘To-Watch’ List Part One: The Guilty Secrets Dept. Ah, the shame of a steadily-increasing list of unwatched Blu-ray discs. I really should stop buying any more discs for a few months, until I get through some of these. You know, back when the HD formats started I looked at my huge soon-to-be -history DVD collection and decided that never again would I catch the collecting bug. You know how it is, you love movies, the extras look enticing, you start collecting a director’s movies or a series of films and then you suddenly find you’re building some kind of library of coasters. The idea I can even watch a film whenever I want is still a kick for me, someone who remembers the olde days of movie-watching being at the whim of terrestrial tv-planners; its all like some kind of ‘pinch-me-it-can’t-be-true’ dream. They made Titanic for $250 million dollars and you can pick it up for just over a tenner even on Blu-ray, with a picture to shame some cinema outlets. I guess that’s where they get us, with those darn bargains…. So anyway, despite my brave and noble intentions, I now have a collection of Blu-ray discs as large as the DVD collection that preceded it. And alarmingly, quite a few of them have not even been played yet. Well, we’ve all got ’em, the Unwatched Blu’s. So I thought I’d trawl through my collection of films gathering dust that I haven’t seen yet. Maybe even offer up a few excuses. We’ll stay with Mr Bogart with my next guilty secret that sits on the shelf alongside Casablanca– and this is the classic John Huston mystery thriller The Maltese Falcon, which I bought as a rather pretty steelbook, with gorgeous original poster art (more old movies should get this ‘classic’ artwork treatment). 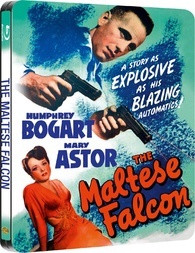 Now I gather, rightly or wrongly, that this is a film-noir detective thriller with Bogart playing hard-boiled no-nonsense Private Eye Sam Spade in a story based on a Dashiell Hammett classic piece of pulp fiction. I love film-noir and certainly black and white detective/private eye movies with plenty of twists and turns. I love that whole ‘pulp-fiction/potboiler’ genre. Just how I managed to watch seasons of gangster movies and b&w classics on the BBC over the years but never managed to see this is, well, quite beyond me. 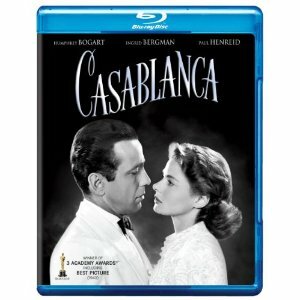 So I finally bite the bullet when this bargain-priced Blu-ray appears and it inevitably winds up sitting next to Casablanca. I guess the two films would make a nice Saturday evening double-bill. Someday. Now, readers of this blog wil know I’m a big fan of Alfred Hitchcock. Vertigo is one of my favourite Top-Five movies. I’ve bought several of Hitchcock’s films on DVD, read a number of books about the director and his films. I’ve even started to buy his films on Blu-ray. But there is one that I have bought (like Casablanca, at a bargain-bin price from America) that even has the added draw that it stars the utterly gorgeous Grace Kelly that I have not watched yet, and that is To Catch a Thief. Okay, maybe its one of Hitchcock’s lesser films, to be honest I really have no idea, it certainly doesn’t appear to get the attention his more famous films get. 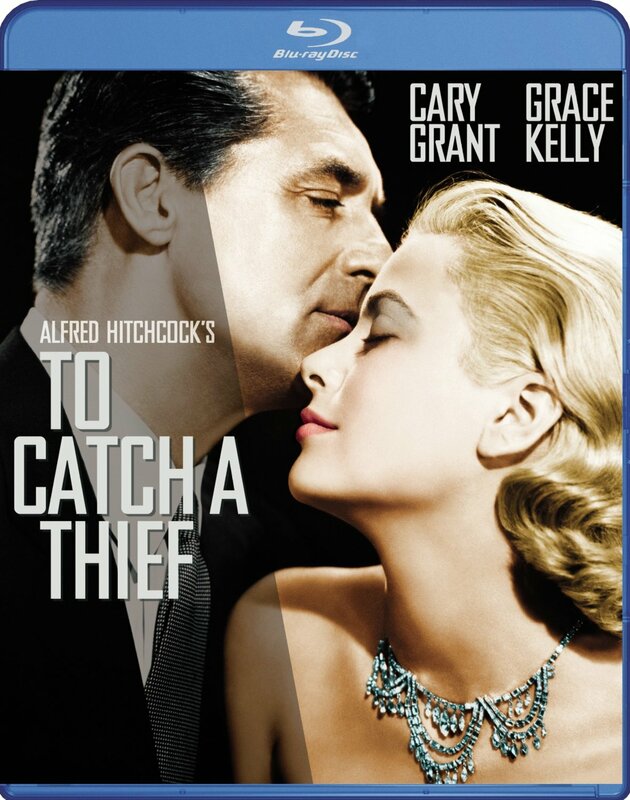 But with Hitchcock directing, and the film starring Cary Grant and Grace Kelly, it has to be worth a watch, yes? This darn thing has been sitting on my shelf for a year already. When I bought it it wasn’t even available over here but that UK release has come and gone some several months ago. To add further insult to injury, that UK release costs a lot less than the ‘bargain’ price I bought the American edition for once postage is factored into it. To Catch a Thief is just the kind of situation that winds me up- I’m a big fan of the director, I’m entranced by one of the stars (Grace Kelly is a screen goddess, no question about it)… I’ve bought the film in HD, offering a quality I could never have enjoyed before. Good grief, its a Hitchcock film I have never seen! And yet it stays on the shelf. Maybe the truth is, there’s not many ‘new’ Hitchcock films for me to ever watch, so maybe its best to treasure them, wait for the perfect moment? Which might be the excuse for my next guilty secret that sits on the shelf- because its an early film by one of my very favourite directors, Billy Wilder. 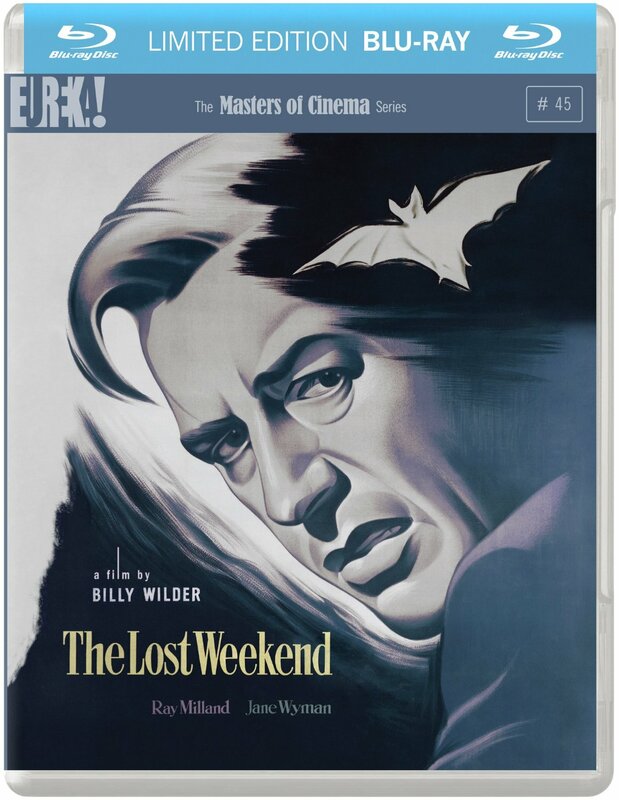 Its The Lost Weekend, which is a film I know very little about but which was released on Blu-ray last year by Eureka as part of their Masters of Cinema series. I bought a few of these MOC films back then which I actually got around to watching, like the excellent Touch of Evil and Double Indemnity (another Wilder classic). But this one slipped through the net. I will just point out in my defence that I did watch one of the extras on the disc, the near-three hour documentary about Billy Wilder (a BBC doc I believe) which would be worth the price of the disc alone. 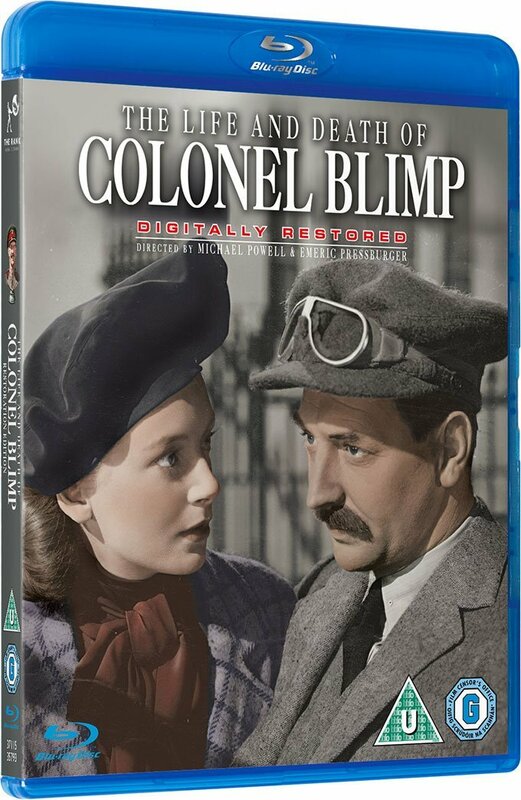 Its releases like this that really prove the value of home video, as it feels like the film is an unearthed classic, given the HD treatment against the odds, a gem for film historians who know of the film and for those like me who have somehow never heard of it. Its certainly seldom if ever been aired on television (and in this day and age of almost zero-interest even by the BBC in showing old ‘classics’ unlikely to ever be again). Now, regards films that are well-known, here’s one that I certainly have heard a lot of and yet never seen, even though I’m actually a big fan of it’s Historical Epic genre, and this is Cleopatra. Nope, never seen it. 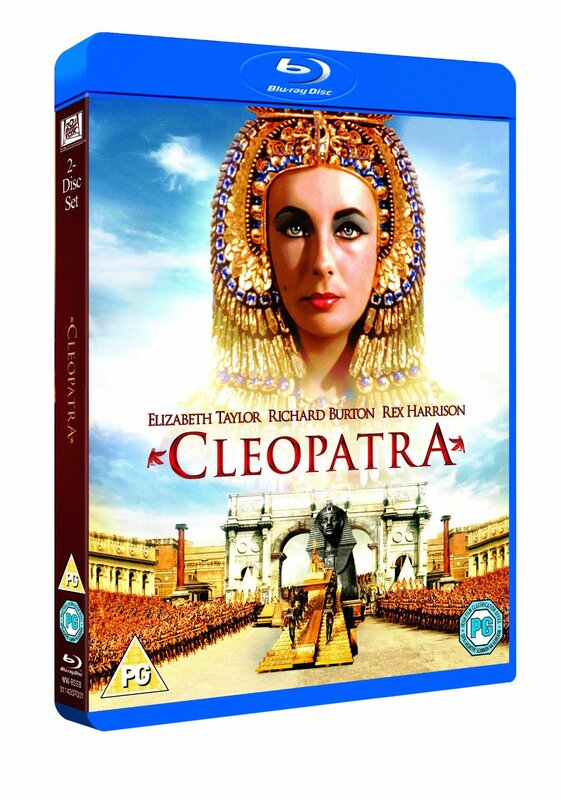 Elizabeth Taylor, Richard Burton, Rex Harrison, a budget so big it nearly bankrupted the studio- I think I read somewhere that, allowing for inflation, Cleopatra remains the most expensive film ever made, even compared to the monster epics of today like Titanic, Avatar etc. Don’t know how true that is, but you have to be curious about seeing all that money onscreen in the days before cgi ate up all a films budget. I do think the film is famous more for the real-life romance between Taylor and Burton and how it scandalised Hollywood at the time, and to be honest I think that this why it’s never particularly appealed to me. How good can a film be if its more famous for its stars having a sordid affair offscreen than anything actually onscreen? But I have also heard, over the years, that its not a bad film at all, and certainly when the Blu-ray came out last year it came out with some fanfare. So its an old Epic back from the days when the word Epic really meant something, and Elizabeth Taylor is certainly a screen icon (although, to be honest, I cannot think of many films of hers that I have actually seen). Added problem regards watching this one though is its running time, over four hours? Come on, if I struggle to find 90+ mins to watch a Billy Wilder film, what chance does this one have? One of my favourite Hitchcock movies finally receives a belated solo Blu-ray release away from the expensive Hitchcock collection that came out late last year. Readers of this blog back then may recall that having pre-ordered the set months before I finally cancelled it in favour of the (frankly excellent, as it turned out) Bond 50 set (a set I’m STILL working my way through, many months later), partly due to the price of the Hitchcock set and a few scary reviews on the ‘net. Having already got Pyscho and North by Northwest on Blu, what I really wanted was Rear Window and Vertigo in HD, and I figured I’d wait for individual releases to eventually come, and miss out on some of those dodgy transfers that the secondary films apparently received. So here we are, having had to wait a little longer than might have been expected (indeed, Vertigo still isn’t out yet, not coming until September). While Vertigo is my favourite Hitchcock film, and one of my favourite films ever, Rear Window runs a close second, and I could understand why some may even consider it the more satisfying film. Its certainly the more mainstream film, more typically ‘Master of Suspense’ Hitchcock than the rather more twisted, conflicted Hitchcock who made Vertigo. Rear Window is a perfect mix of suspense, paranoia and devious voyeuristic thrills. On the one hand it is a deft, if deceptively simple, thriller, in which our wheelchair-bound hero idles-by the long hours watching his neighbours lives play out beyond his apartment window, only to eventually suspect that a terrible murder has taken place and that he is the only one who has noticed. Its a finely-written piece with sharp, witty dialogue, with the the usual capable acting of Jimmy Stewart and a particularly bewitching performance by the simply gorgeous Grace Kelly (how anyone can watch this film and not fall in love with her is beyond me). The whole thing is filmed on a huge sound-stage, a piece of genius production design and consummate direction by Hitchcock. Its a great movie. If that was all that Rear Window offered then it would be more than enough to be salivating over its pleasures a half-century later. And yet- well, there is more going on here than meets the eye. Well, to be precise, its actually all about the eye. About how we ‘see’ film, the act of watching a film. It is quite deviously complex, undermining our role in watching film, and the film’s subtext on the act of watching, of how our ‘viewing’ of the film mirrors the act of ‘viewing’ that the main protagonist plays out. Indeed it forms an unspoken bond between us and Jimmy Stewart’s wheelchair- bound L. B. Jefferies. It’s incredibly clever how Jefferie’s wheelchair-bound powerlessness in the more frantic moments mirrors our own passivity in watching events in any film and never being able to change those events unfolding before us. Here we become one with the protagonist and his plight. Indeed, we ‘become’ L.B. Jefferies- he’s as trapped watching the film unfold as we are. It’s a wonderful film and it looks excellent in HD, albeit with minor reservations. I can understand some of the mixed reviews that came out about the box-set if this is one of the better tranfers, as one might have hoped for a more fully-realised remaster but it certainly looks better here than I’ve ever seen it look on TV airings or DVD. Colours are fine and detail as sharp as you might hope, but there’s something just a little muddy about some isolated shots- perhaps its the original negative at fault here, the film-stock used or how it has been preserved over the half-century or more since it was made. But still, it does largely look rather wonderful nevertheless- perhaps my nitpicking/doubts stem from simply how excellent some older films do look on Blu-ray in comparison. Not all old films look the same, not all film-stocks and remasters are equal. 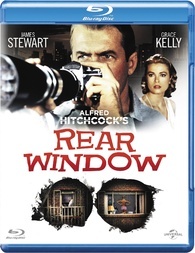 But Rear Window on Blu-ray remains a great film and an important part of any fan’s HD collection- and at the price this is going for, something like just a tenner now, its really a bargain. The extras are plentiful and icing on the cake. Just leaves me looking forward to Vertigo more than ever.